Leave it to POTUS. Doesn’t skip a beat ...er tweet. He has a point. What was she thinking. Put it off a day and find an indoor venue. It's winter and she lives in Minnesota. Funny line, coming from a guy who refused to attend a ceremony honoring fallen soldiers because it was raining. Poor snowflake will melt soon, unless she has Eskimo heritage. I think that some of you missed Trump's point; the dichotomy of talking about fighting global warming in middle of a snow storm. 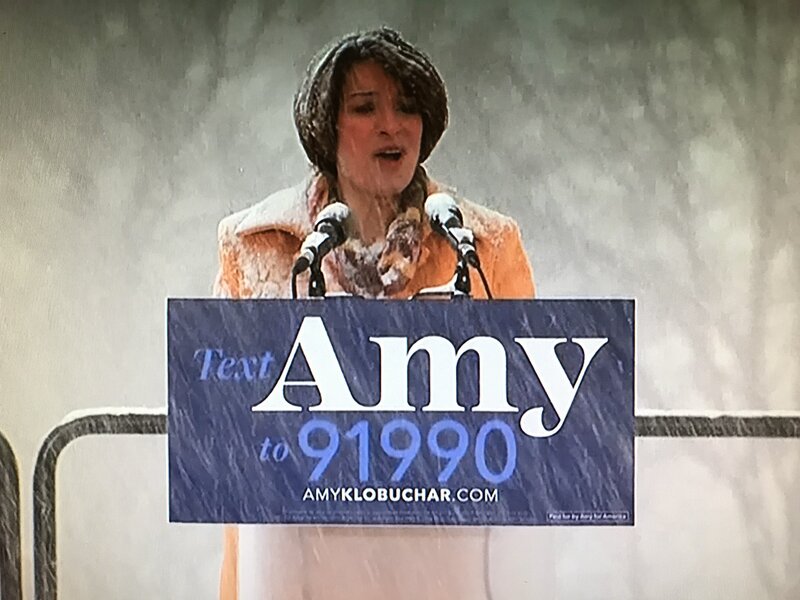 I agree with Trump that it was dumb for Klobuchar to have held the announcement outdoors, in such inclement weather, as it should have been held indoors. A goyish kupp! Nonsense. They fly in the rain all the time. Even if so, did he have no car available? Everyone else managed to get there. Liberals are too dumb t keep up with any point. Nonsense. "The Beast" travels with the president all the time. Puh-leez! What's "a little far"? You can slice and dice the excuses all day and any way you like but, it's disgraceful that he didn't attend, especially when, somehow, everyone else magically (flying carpets?) managed to get there for the ceremony.